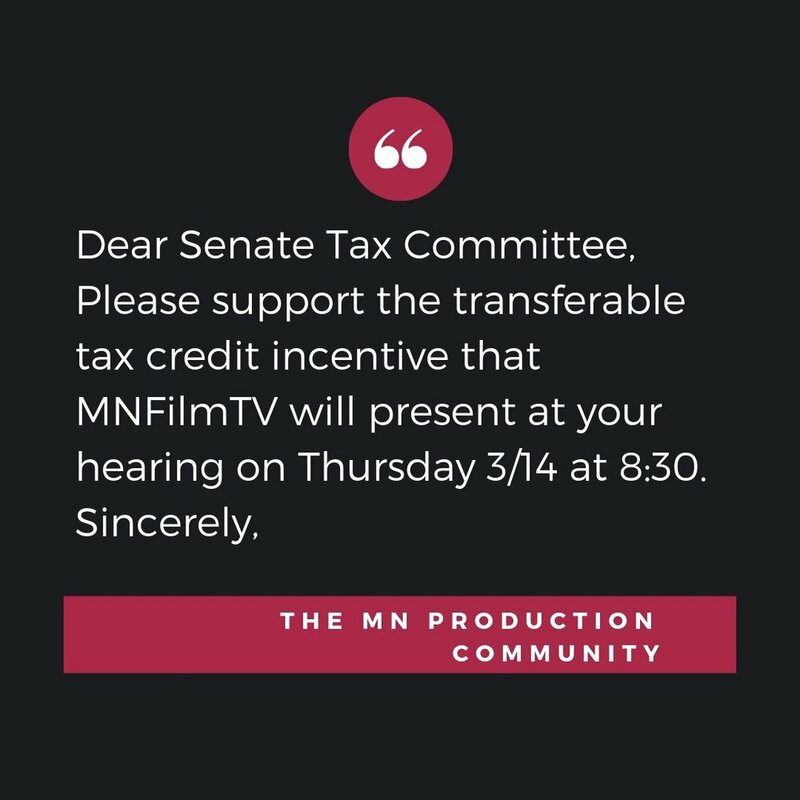 Minnesota film community: here’s the good word from the MN Film and TV Board about tax incentives for film production in Minnesota. The incentives bill (SF419) has a hearing before the Senate Tax Committee on Thursday, March 14 at 8:30 AM in Room 15 of the Capitol. The bill's author (Senator Karin Housley) will be making an important amendment which contains reforms and clarifications needed to make the program work for both the industry and Minnesota.